Our grab bags range are parcels of rocks, gemstones, or minerals – you choose the value and receive random items from our stock. We offer a range of different bags – fossil bags, gemstone bags, tumblestone bags, and bags for most colours. Well.. that kind of ruins the fun, doesn’t it? These parcels are random selections – no two are alike. We give you the option to purchase a parcel of a specific type or colour, all you know is – you’ll get more value than the parcel costs. For a £10 parcel, you will receive more than £10 worth of stones. 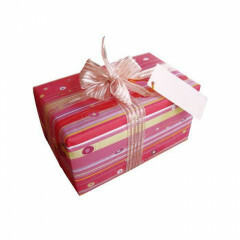 We cannot guarantee the number of items you will receive; it depends on both the value of the packet and pure random chance – in something like the Tumblestones packet, we try to make sure you get a good range of items – in something like the Purple packet, you may only get one item, but it will be something very special.